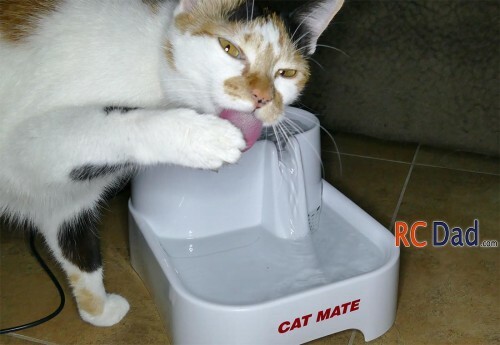 Cat Mate Drinking Fountain 70 fl. oz. Larger Drinkwell Platinum Pet Fountain 168 fl. oz. How a Cat Mate Pet Fountain can improve your cats health. My pet’s health is very important to me and when I first saw fountains for pets I thought it was a sales gimmick until I looked into it further and got one for my cats. The idea is to get your pet to drink more water. Staying hydrated is one big way to help improve your dog or cats health, especially if your pet only eats dry food. Dry food adds to your pets dehydration making drinking extra water even more important. I didn’t think my cats would care for it, because as any cat owner knows, cats are stubborn and tend to not do what you want them to. 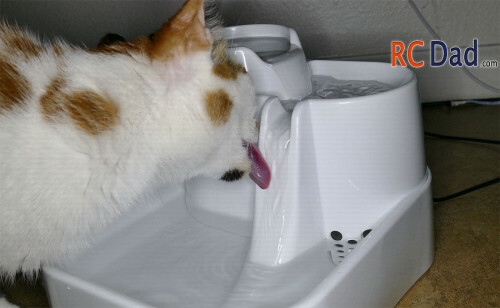 But even my picky cats love their pet fountain and refuse to drink water from a bowl when their fountain is turned on. My belief is that in the wild animals prefer moving water because it tends to be fresher. 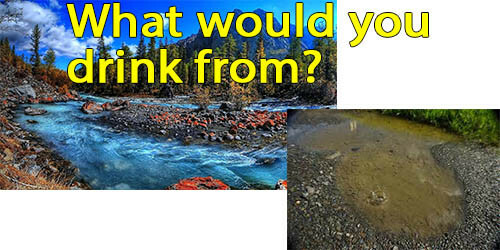 Think about a running stream, compared to a still puddle, animals know that running water is better and safer to drink. The noise level is very low. I can barely hear it, even in a silent room it’s hard to tell it’s on unless you look at the water. This model holds 70 ounces of water, and for those of you who are not sure how much that is, it’s about 6 bottles of beer. I’d recommend this for 1 -2 cats or a small dog. With 2 cats I top mine off 3 times a week and clean it out once a week. 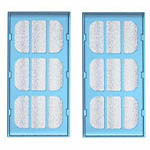 They do sell additional filters that will filter out junk in the water and keep it fresh. I personally don’t use the filters since I add filtered water and clean it out once a week but it’s an option if that’s important to you. There are small holes that prevent large objects like toys from being sucked into the pump. There is a little maintenance like scrubbing the fountain and cleaning the motor. Every 6 months I’ll submerge my pump and run some warm water mixed with a little dish soap and vinegar to remove any junk that might have built up inside the pump. This will help extend the life of your pump! After a year my pump would sometimes need a little jump start after being cleaned. Some people think their pump broke but all you need to do is stick a tooth pick in and give the impeller a little nudge and it’s good to go. Overall this is a great little fountain. I included a link to this model as well as a larger one for those of you with bigger dogs. Please feel free to ask me any questions by leaving a comment down below!